Input VSQR is optimized with attenuator on PA input. 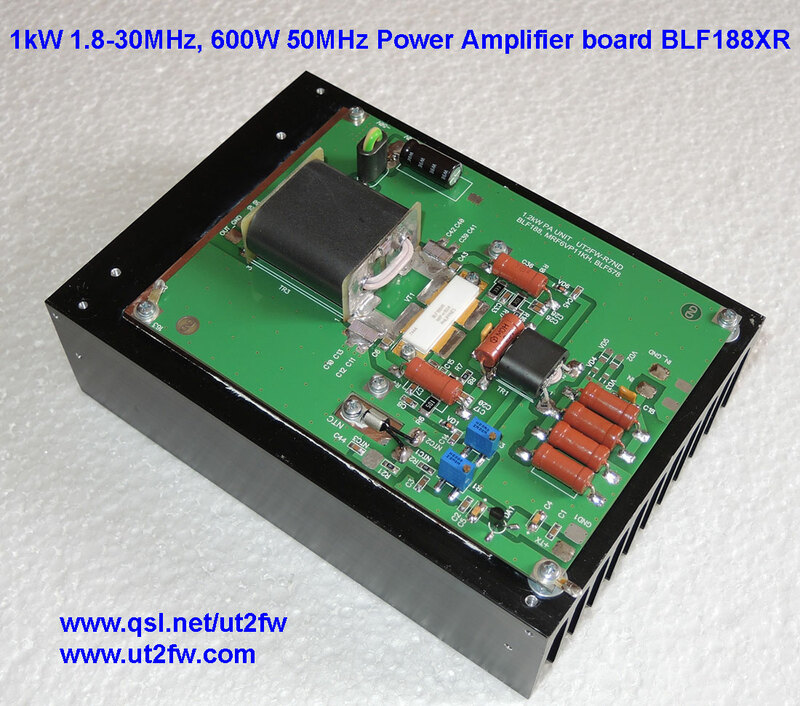 If you want to get 1000W Pout for 160m and 80m, you need very low input power, about 3-4W Pin. In this order, you need to be very carefully on first power on. For Pout 1000W - you need Pin 6-9W for 7-21MHz. For Pout 1000W - you need Pin 5-6W for 24-30MHz. 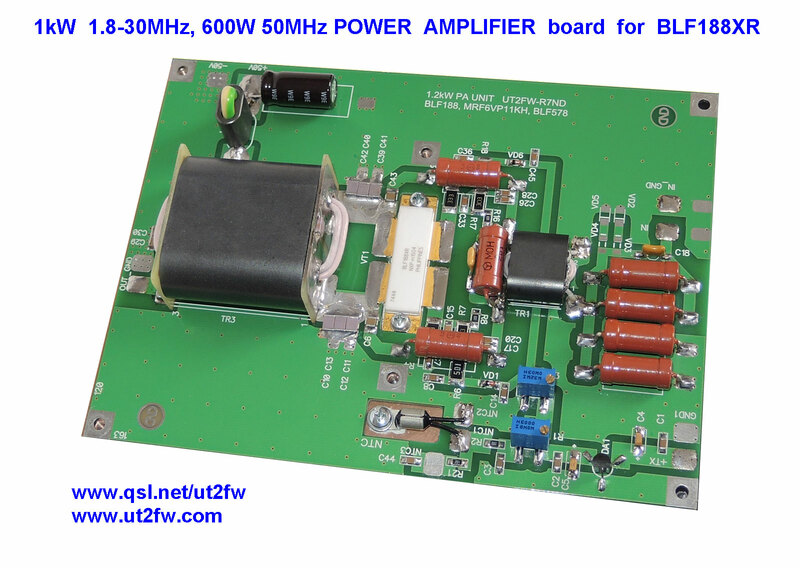 For Pout 500-600W, enough Pin 8-12W for 50MHz band. On 160m, 80m, 40m, 30m, 12m, 10m can be Pout up to 1200-1300W. Warning! Remember , for AM, FM mode, do not pass more 600W Pout.